← Why Microsoft is Celebrating Apple’s Patent Win Over Samsung? Italy On June 24, 2002, the Italian Secretary General of Defense and National Armaments Director and the Under Secretary of Defense for Acquisition, Technology and Logistics signed and exchanged memorandum of understanding (MOU) documents for Italian partnership in the Joint Strike Fighter (JSF) System Development and Demonstration (SDD) phase. Under the previous Concept Demonstration Phase (CDP) MOU from 1998 to 2001, both the United States and Italy had benefited from JSF ship suitability efforts and associated environmental studies. The Italian government was, as a result, to invest $1.028 billion [ 1.09 Billion] in the SDD phase. As the senior Level II partner, Italian Air Force and Navy personnel is to occupy five positions within the JSF Program Office. These individuals are to be working together with the United States and its international partners, as well as the JSF air system and engine contractors, to develop an affordable system ready for transition to production. The Italian Air Force envisaged buying 40 STOVL JSFs to replace its AMX fighter bombers, alongside 69 conventional JSFs to replace its Tornado aircraft. 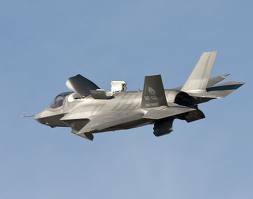 Italy would also buy 22 of the F-35Bs to replace Harrier jump jets flown off the aircraft carrier Cavour. Posted on February 22, 2013, in Aviation. Bookmark the permalink. Leave a comment.